We are in full Olympic swing in our house. My little guy loves his sports so the Olympics is right up his alley. I am so excited as well because this is Thomas’ first summer Olympics. There’s something pretty special about that. We are loving watching the swimming, diving and basketball especially. 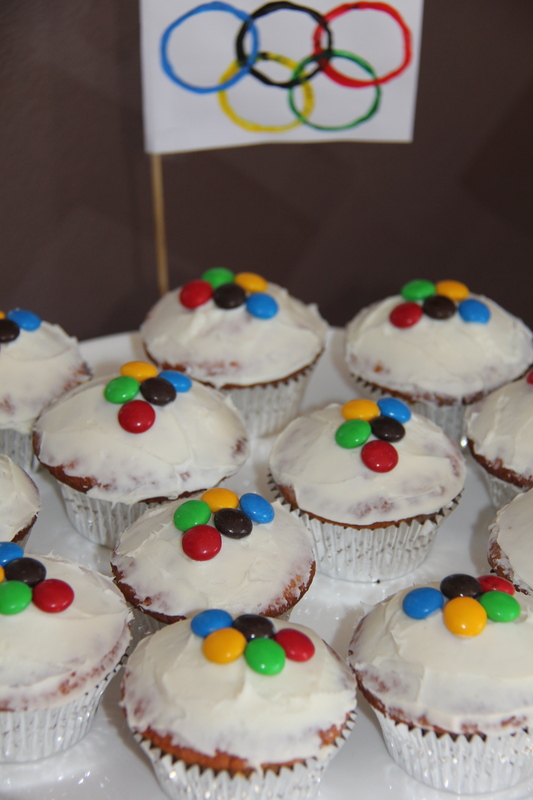 It seemed fitting that we should do our own little mini Olympics with our neighbours complete with medal presentations, podium and some yummy Olympic themed treats. It was a great day. Heat oil in a large saucepan over medium heat. Add 2 pieces of corn. Oil is hot enough when corn turns slowly in a circle. Add remaining corn. Cover with a tight-fitting lid. Shake saucepan gently when corn starts popping. Remove from heat when corn stops popping. Transfer to a large bowl. Discard any unpopped corn.Note: I have issues cooking popcorn in oil. I always burn it. So, I had seen online that you can make your own microwave popcorn using a paper bag. Put half the popping corn in a paper bag and put in microwave for approx 1 min – 1 min 30 secs and voila. Repeat with the rest of the popping corn. This is also a great way of making popcorn for kids. They can measure it out and put it in the bag – also it has no salt or butter added so it’s much healthier! Place honey, sugar and butter in a saucepan over low heat. Cook, stirring, for 6 to 7 minutes or until sugar has dissolved. Bring to the boil. Boil without stirring for 5 to 6 minutes or until light golden. 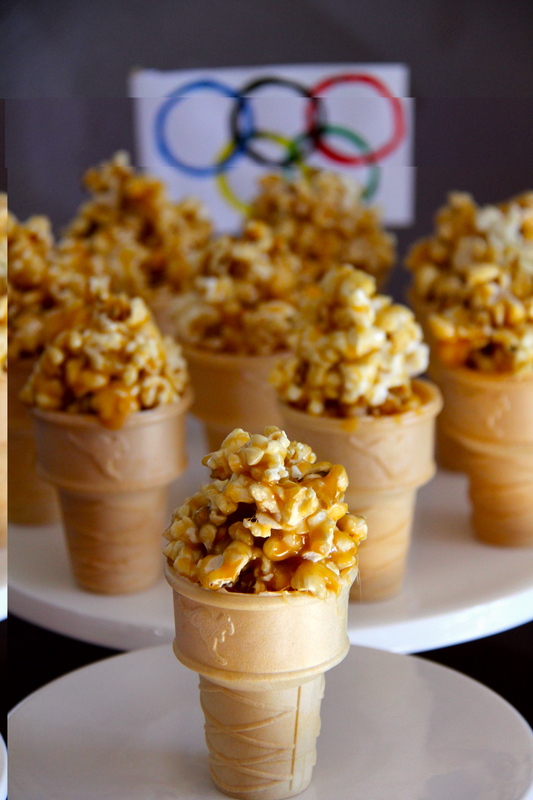 Working quickly, pour caramel mixture over popcorn. Stir to combine. Spoon into ice cream cones and shape to look ‘flame like’. Set aside to cool completely.I don’t recommend doing this step with kids as the caramel gets very hot. I ended up with burnt fingers myself from touching it. Here is a list of our games and items you might need if you are going to do your own mini Olympics. Possum Magic would have to be one of, if the most well known Australian children’s book. Written by Mem Fox, Possum Magic was first published in 1983. In 1983, I was in Year 1 (6 years old) and an avid reader. I loved books and still do. Possum Magic was one of my favourites. I can remember our school library having a display during book week with Possum Magic as the central theme. 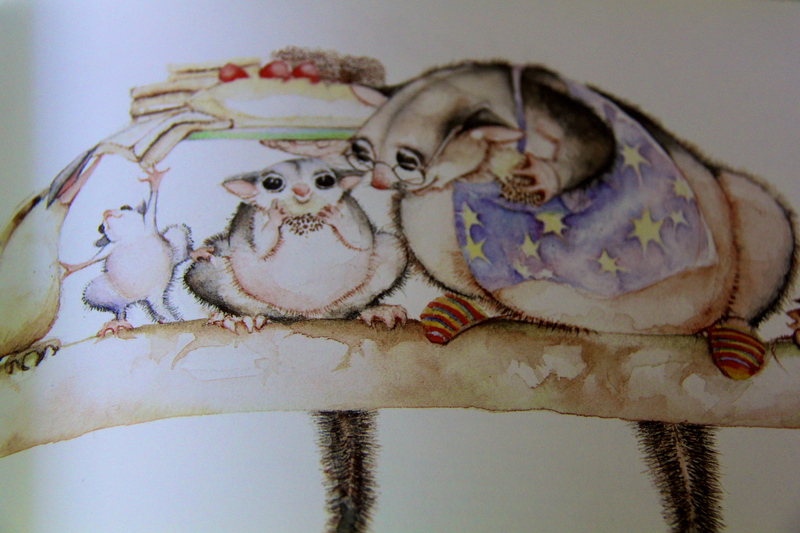 Possum Magic is a tale of 2 possums who live in the Australian bush – Hush and Grandma Poss. Grandma Poss does magic to make Hush invisible to protect her from harm but one day Hush decides she wants to know what she looks like and asks her to make her visible again. The story details the adventure the possums go on to find the magic “to make Hush seen”. “I chose possums as the main characters for this book because we had possums on our roof and the babies were adorable. 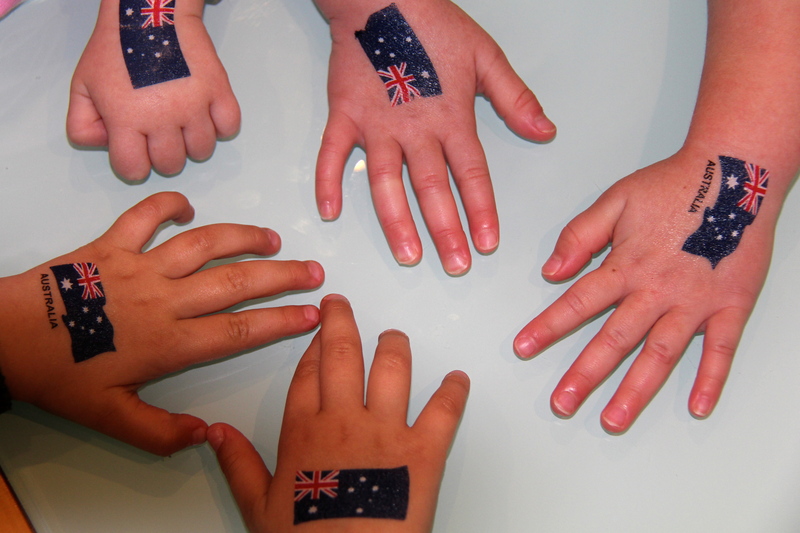 I didn’t include Canberra, the national capital, because it wasn’t a state capital. I chose the casino in Hobart because it was famous at the time for being new and for being the first legal casino in Australia. I chose pumpkin scones in Brisbane (for those of you reading this outside Australia, Brisbane is the capital of the state of Queensland) because at that time the wife of the premier of Queensland was Flo Bjelke-Petersen, nationally famous for her pumpkin scones—it was an in-joke for the parents who read the book to their children. 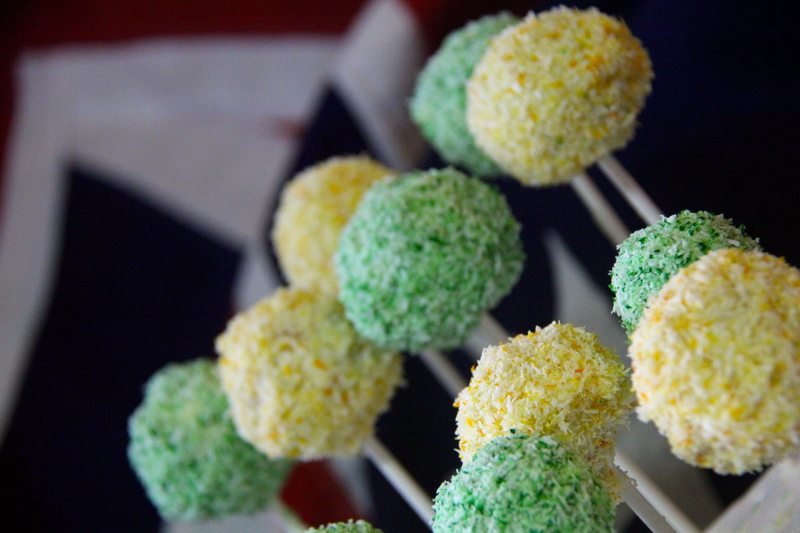 The other foods were chosen for their alliterative qualities and because they were typically Australian”. You can read more about Possum Magic by clicking here. I found one of my copies of Possum Magic the other day. The 21st Birthday Edition. I think I have about 4 copies of this book, including my original copy. Thomas and I found a quiet place to sit down and read it together. I have to say it was a very special time for me – to be able to share one of my favourite children’s books with my little man was a memorable moment. As we read the story, Thomas asked lots of questions (as he does) about what invisible means and how long it takes to get to Brisbane…. He also wanted to know what Lamingtons were. What can I say, I knew that was our next cooking project right there. I can’t imagine these examples being printed in cookbooks these days :-). 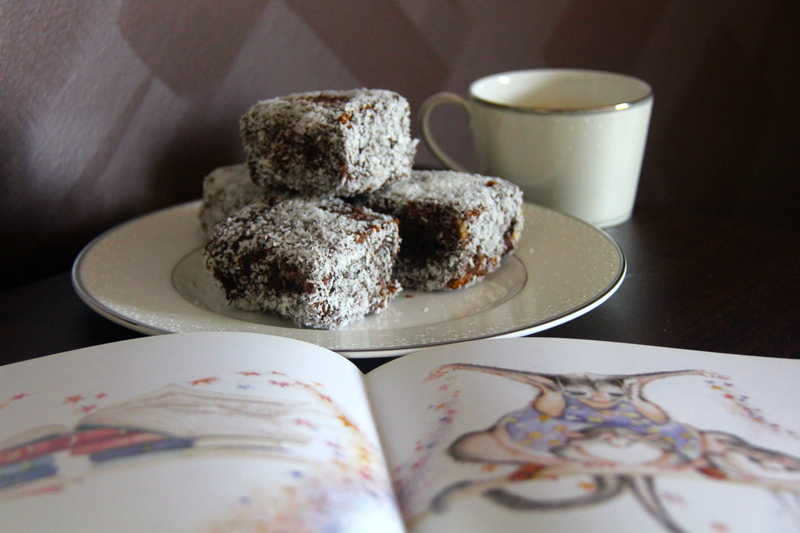 I had never made lamingtons before. They were quite time consuming and very messy. Thomas wasn’t very keen on the messy part. He enjoyed measuring out the ingredients and making the cake but was more interested in washing up. Not that I’m complaining about that! Cream butter, sugar, vanilla together until light and fluffy. Add eggs one at a time, beat well. Fold in sifted dry ingredients alternately with the milk. Spoon into a greased and lined 7″ or 8″ tin (approx 18cm). Allow cake to cool completely (overnight works best as then cake doesn’t crumble too much) and cut into squares. 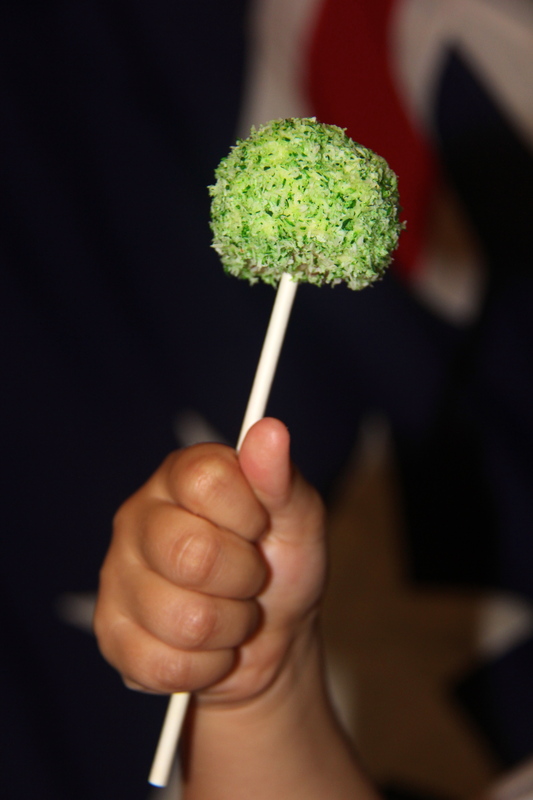 Make icing by mixing dry ingredients then adding milk mixture to make a smooth consistency. Dip cake squares into chocolate icing using a fork to hold then cover with coconut. Place on plate to set.